The Doctype markup is not in the first line of your HTML document. There must be no white spaces before the doctype markup. 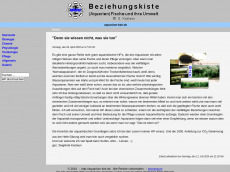 Test up to 1.000 webpages of aquarium-bzk.de with our free plan! The average number of words per sentence of 27.1 words is high. 48.6% of the text are stop words. There are too few (9) internal links on this page. There are no external links on this page. The page response time is excellent with 0.39 seconds. The file size of the HTML document is fine (6 kB). This website has backlinks from 38 referring domains. This website has 448 backlinks. This website has backlinks from 37 different ip addresses.